When owned by M. Penther, her name was still "Nemesis". 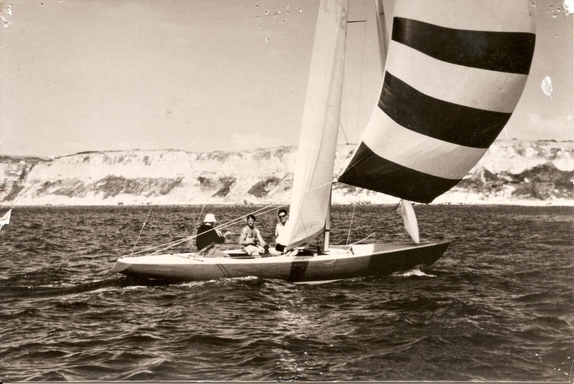 For practical reasons, she sailed with sail number "F 107". US-72 Cloud IX, US-73 Nemesis, US-83 Tiger. Doubt on origin : US-72 or 73 ?